Can cooking be fast and good for you at the same time? It certainly can! You don’t need to spend hours in the kitchen to put together a wholesome meal. Here are some of the easiest cooking techniques with the best health benefits. Used for a variety of dishes from vegetable sides to dumplings, steaming is a common and simple cooking technique. Cooking at home has a number of health benefits. Home cooked meals give you more control over the food you eat, allowing you to choose natural, whole foods and cut down on preservatives. 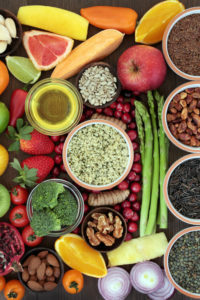 However, preparing delicious, healthy meals at home doesn’t stop at the ingredients you choose—finding the easiest cooking techniques are just as important. Meat almost always needs to be cooked to prevent harmful bacteria contamination such as E. coli. Cooking also helps to retain nutrient levels in many vegetables. Although certain cooking techniques may seem intimidating at first, there are many easy techniques that you can learn in order to improve both the taste and health value of your food. Try one of these cooking techniques next time you’re in the kitchen. Used for a variety of dishes from vegetable sides to dumplings, steaming is a common and simple cooking technique. Steaming works to heat, moisten (think steam bath!) and soften food, making for comforting and tasty home meals. Not only are steamed foods delicious, but studies also show that steaming vegetables can improve the level of certain antioxidants in vegetables. Steaming is used for many dishes, but is most commonly used for vegetables. It’s very simple. To steam vegetables at home, simply place a steamer basket into a pot with an inch or two of water. Bring the water to boil, then add your favorite sliced vegetables, cover and reduce the heat. Check the vegetables after a few minutes and remove when tender. Another one of the tastiest and easiest cooking techniques, stir frying can be used for a variety of dishes. Many meat dishes are stir fried with flavorful vegetables like bell peppers, tomatoes and onions for healthy and delicious meals. Stir frying also has similar benefits to steaming, as the heat helps vegetables retain nutrients. Stir frying is incredibly simple. 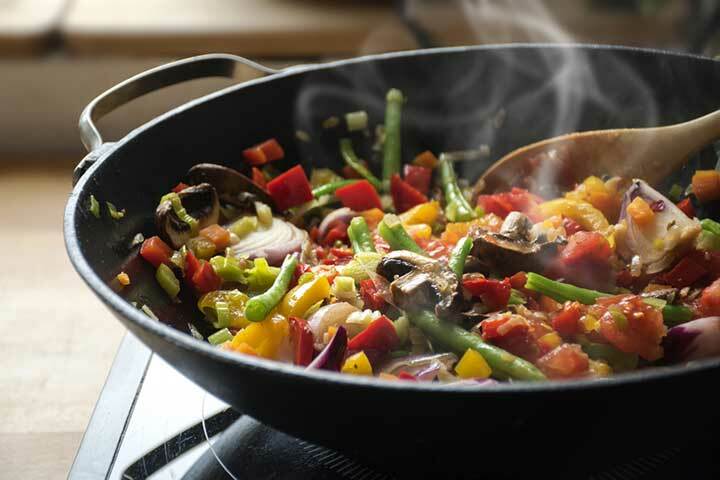 To make your own stir fry, cut your ingredients into small, uniform pieces and cook quickly in a pan with a little hot oil. For best health benefits, avoid industrial seed oils such as soybean, palm, and corn oil. These oils are often referred to as refined, bleached, deodorized (RBD) for short. Stick with healthy fats like olive oil, coconut oil or animal fats instead. This moist heat cooking technique is a great way to prepare meals without a lot of additives. Poaching adds flavor to your food and preserves moisture without adding fat. This cooking technique involves cooking food in a small amount of hot water just below the boiling point, and is a great technique for cooking delicate eggs, fish or fruit. The one downside to poaching is that it can sometimes take a little longer than other techniques, which some research suggests can decrease nutrient retention. Some recipes call for liquids such as milk, cream or wine instead of water. While this can add flavor to your meal, it can also add unnecessary calories. While frying gets a bad rep in health cooking, it’s not all bad for you. Of course, any fried fast food should be avoided, mostly because of the types of oils used; home cooked fried foods can be a tasty snack or side in addition to other nutritious foods. While delicate fats in foods like omega-3 fatty acids can be lost in frying, this cooking technique preserves vitamin C and B vitamins. A study from the International Journal of Food Sciences and Nutrition found that frying foods results in “highly palatable foods with a high nutritional content” — so frying foods makes for tasty and nutritionally valuable food. When frying your favorite foods at home, make sure to use healthy fats that have high smoke points like butter, coconut oil or animal fats. These oils are low in carbs and high in saturated fats, which means they are heat resistant and safer for frying. If you like steamed food and fried food, then why not enjoy the best of both worlds? Invented by the Chinese, steam frying is a cooking technique that combines both frying and steaming. A little frying takes place on the surface of your food, however, most of the cooking is done by steam. Steam frying is typically done in a non-stick frying pan. You simply heat a small amount of oil or fat, usually just 2-3 tablespoons. Once the fat is hot, you add your ingredients and sauté them for a few minutes. Once they begin to sizzle, you add a little liquid—don’t add too much, otherwise you’ll end up with stew. The next step is to cover your pan with a tight-fitting lid to trap the steam. If the liquid evaporates before your food has cooked, you can add a bit of extra liquid, and then put the lid back on to finish cooking. Once your food has been cooked, remove the lid, and allow the extra liquid to disappear. Easy peasy! add, antioxidants, are air fryers healthy, b vitamins, bacteria, benefits of cooking, benefits of cooking at home, benefits of eating fish, calories, cast iron cookware, coconut oil, cooking, corn, e coli, fast food, food, health, healthy cooking, healthy fats, healthy meals, how to start eating healthy, iron, iron deficiency, iron deficiency treatment, milk, nutrients, nutrition, omega 3, omega 3 fatty acids, preservatives, vegetables, vitamin, vitamin c, vitamins, wine.